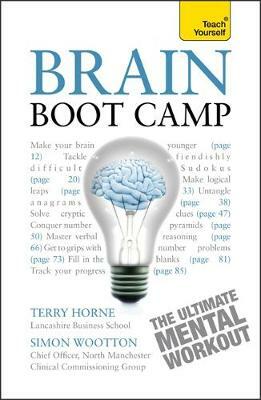 Give your brain the ultimate mental workout with Brain Boot Camp - a collection of Mensa-level challenges, puzzles and tests. Designed to test and improve your mental ability in all the key fields, from verbal reasoning to logic and numerical thinking, this is a series of increasingly difficult workouts that will challenge you on every level and equip you to face any mental challenge. Complete with appendices that give you extra help and support on everything from diet to male and female thinking, this is a fun and engaging mental boot camp that will help you get ahead on every level.